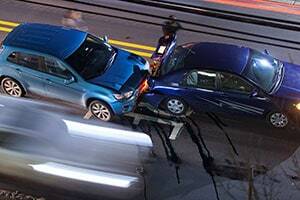 Around 50 people get injured in auto accidents in Miami-Dade every day. If you or a loved one are among them, you need to speak to the best Miami auto accident lawyer you can find as soon as you can. When another driver is at fault for the accident, you have the right to get compensated for your injury-related harms and losses – but it is not likely to be easy. To determine if you are entitled to monetary recovery for damages, call our Miami auto accident lawyers at the Wolfson Law Firm for free consultations at (305) 385-1115. We don't charge fees for the initial consultations. It is aimed to let you know what your options are. If you want us to represent you, we'll charge fees only when we get you compensated. Do not rely on advertising. Both good and bad lawyers can pay for advertising. Do you believe that anything you see on billboards, TV commercials, and online ads is worth your money and trust? The same goes for legal services. Anyone can pay for ads, but it is no guarantee that they can deliver the quality you need. That’s why advertising in unreliable. Rely on word-to-mouth and online recommendations. People who were satisfied with a lawyer’s services will recommend the lawyer. If you don’t know anyone who has experience with Miami personal injury attorney, a quick online search will provide for answers. The best Miami auto accident lawyers will have great reviews. Avoid runners at all cost. Runners are people who chase after injured people and offering them legal services. This is not ethical or legal. Avoid them at all cost. Reputable lawyers who can get clients through recommendations don't need to chase people in hospital halls. Check out their experience. You don't want to be represented by someone who is just getting his feet wet in the business. Negotiating with insurance companies and going to trial against them requires experience. Call them. Choose someone by searching online and call them. This will give you an impression on how they do care about clients. If they meet the criteria for the next two pieces advice, they could be a good fit for you. Do they offer free consultations? If they are not after the money, but they serve the community they practice law in, they will offer free initial consultation. It will equip the potential client with information about their options and will help them decide if they would pursue damages recovery. How soon do they charge fees? The best Miami auto accident lawyers have enough experience to evaluate a case and determine the possibility of winning. If the case is not worth the time and nerves of the client, they will pass on it. If they have fair chances to win, they'll charge fees only upon collection of compensation. Personal injury lawyers do not charge fees up front. They will work on a contingency basis and only collect fees after they recover compensation for you. The Miami auto accident lawyers at the Wolfson Law Firm serve good folks injured in Miami and the rest of South Florida. We always start by free consultations at (305) 385-1115. This allows us to help people determine if they are entitled to damages compensation and how to get it as soon as possible. If they decide to hire us, we don't charge fees unless we recover for them. We serve the city of Miami and all its neighborhoods, including Little Havana, Edgewater, Coconut Grove, Brickell, Upper East Side, Coral Way, Allapattah, Hialeah, Miami Beach, and others.